At Mobile World Congress this year, Huawei revealed that it would launch a smartphone running Android Go and had announced that it will be unveiled in the first half of 2018. Now Huawei South Africa’s general manager, Zhao Likun, has confirmed that this device will be launched as part of the entry-level Y-series. Likun also announced that Huawei’s first Android Go device will be launched in May. He said that the device will be named “Y-series 2018”. Jim Xu, the president for sales and marketing also confirmed that the entry-level smartphone will have 16 GB of onboard storage and will be powered by 1GB of RAM. These specs should be sufficient to run the smartphone well for “at least two years“, remarked the executive. The possible naming of Huawei’s Android Go smartphone was previously reported by XDA-Developers when FunkyHuawei.club dug up firmware files and predicted the device to be named “Huawei Y5 Lite 2018” after finding it to be running on Android Go version of Oreo. The device comes pre-installed with lite versions of popular Google services including Assistant Go, Maps Go, YouTube Go, Search Go, Gmail Go. It was also discovered that the said smartphone will be powered by a MediaTek MT6737m chipset – which also powers the Nokia 3, will come with dual-SIM support, and a screen with a resolution of 854×480. There’s no information about the pricing of the smartphone but it should comfortably lie around the $100 mark. 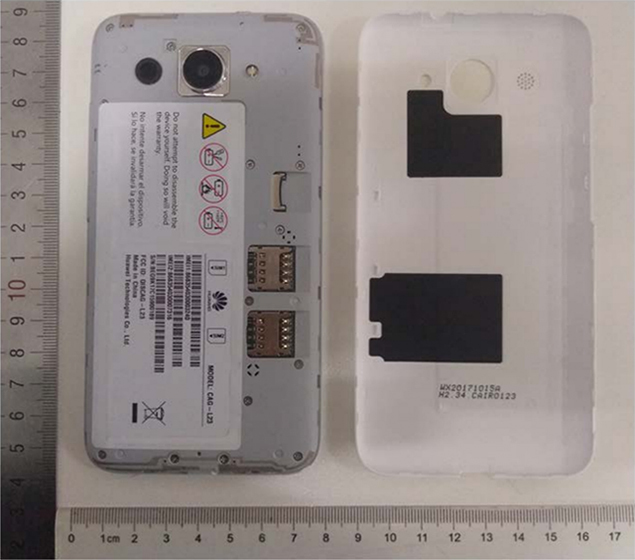 A few days later, the Y5 Lite also paid a visit to FCC where the image of its removable back panel, exposing a non-removable battery, dual SIM card slots, a microSD card slot and a single camera module, was spotted. Based on the dimensions, the device should have a screen ranging between 4 and 4.5 inches. Huawei isn’t the first company to launch an Android Go device and Nokia, Lava, and ZTE have already placed their bets on the game.